On the whole, Orthofer's book makes for a fine introduction to this intriguing writer, especially now, as Dalkey Archive Press has just announced that Woods' translation of Bottom's Dream will finally be published in September 2016. So, it's now time for English-speaking readers to finally go and discover Arno Schmidt." Arno Schmidt: a centennial colloquy is an introductory volume to his life and work, for an audience that seems to desperately need it. Although well-translated into English, Schmidt -- one of the German greats of the twentieth century -- doesn't get nearly the attention he deserves (except in the stultifying, rarefied air of well-concealed corners of academia -- and he deserves better than that). Arno Schmidt: a centennial colloquy isn't meant to be definitive literary criticism or exhaustive biography. These conversations are meant to give you a sense of Schmidt's life, work, influence, and legacy. A foundation to help bring you closer to his writing. A hundred pages or so of wide-ranging conversation makes Arno Schmidt: a centennial colloquy just the thing to get you started on Schmidt (or, yes, put you off him forever -- amazing though his work is, it's not everyone's sort of thing -- but better (and cheaper) to find that out now than after you lugged home Bottom's Dream, right ?). It is already available from many of your favorite vendors -- see here. 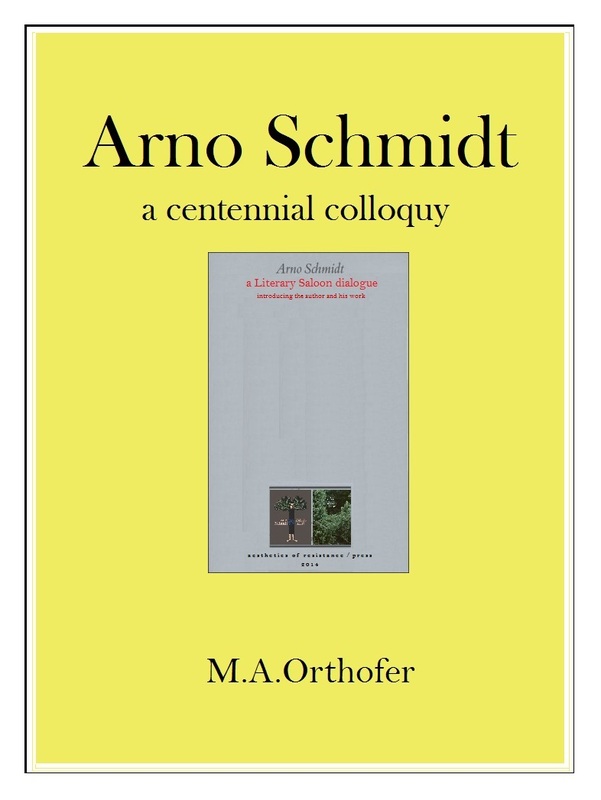 Arno Schmidt: a centennial colloquy should be available from your local retailer (well, they can order it for you ...). M.A.Orthofer is the founder and managing editor of the complete review and its Literary Saloon.